With an estimated annual household spend of more than $2billion in the Bethlehem Town Centre catchment, AMP Capital was eager to create a destination that would attract local shoppers. 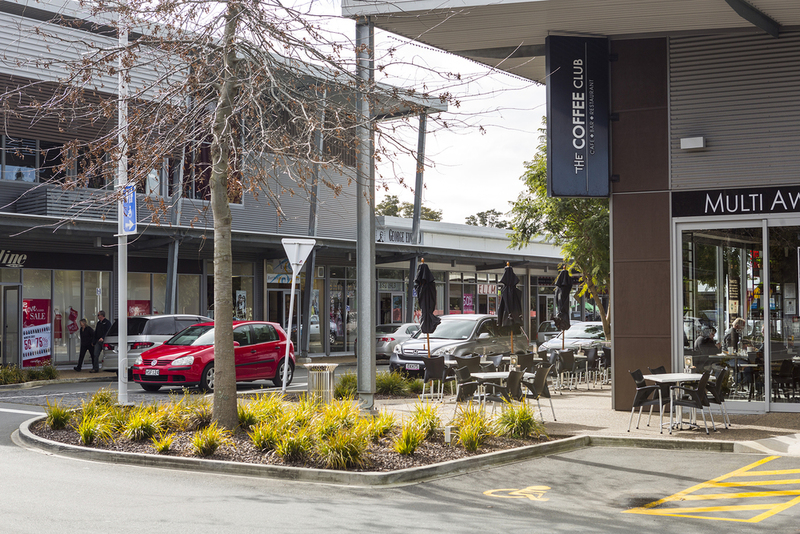 Bethlehem Town Centre is a 20,000sqm retail hub, located in the fast-growing city of Tauranga. Developed for AMP Capital, the community-focussed design of the Bethlehem Town Centre delivered a retail centre that has become a default shopping destination for locals. Critical to the Centre’s commercial success was the design’s ability to create a place where the community would want to visit regularly. In order to do this, the design team needed to create a place that would be attractive to both local residents and desirable retailers. To create an attractive space that would foster a sense of community ownership, Ignite’s retail design team developed a concept that referenced the Bethlehem area’s farming roots. By designing the centre as an outdoor-focussed space, broken up into precincts, and adopting an architectural theme of ‘The Elegant Shed’ for building design, the team created an environment with a strong sense of place and connection to the local community. To achieve the architectural theme of ‘The Elegant Shed’, the building forms use a combination of simple, clean materials such as corrugated zincalume, finished precast concrete and timber slat wall claddings. Wide, square footpaths, landscaping, continuous canopies and a mix of tenancies combine to create an environment that is not just an amenity for visitors to the centre, but a destination for present and future generations.